Thus far for the 16 Days Campaign to prevent Violence against Women, Dar Si Hmad has focused primarily on the issues faced by rural Moroccan women and impoverished communities around the world. Today, we highlight the Ethnographic Field School and its role in nuancing the stereotypes frequently held by students from Western countries about those communities. Dar Si Hmad invites international researchers and students to be a part of their inspiring work with local communities by facilitating academic and cultural programs, service learning, homestays, and language classes in Modern Standard Arabic, Darija, Tashelheet, and Hassaniya. The Ethnographic Field School brings students from around the world to southwest Morocco to explore its rich socio-cultural and environmental heritage. Ethnographic Field School attendees participate in locally driven development initiatives and engage in innovative dialogue with communities. 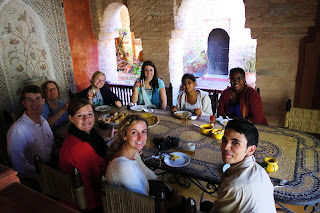 This weekend, thirteen American high school students are in Sidi Ifni exploring Dar Si Hmad's projects. 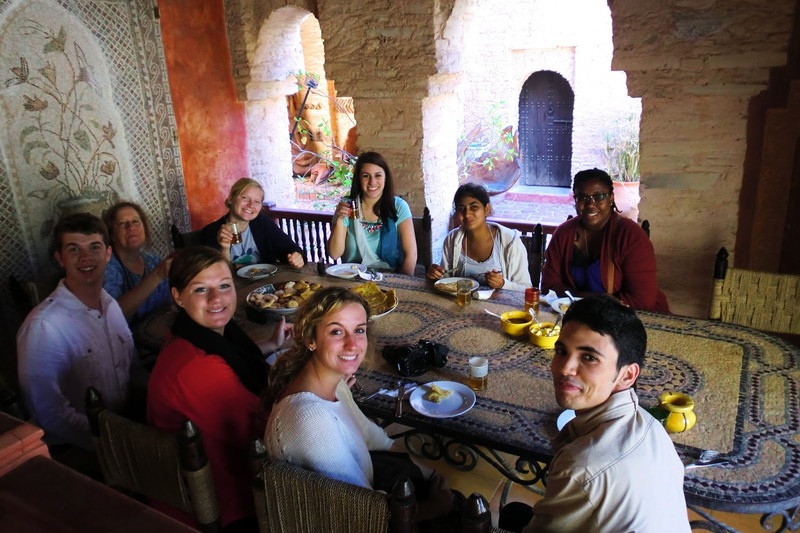 The students are temporarily living in Marrakesh, studying at the Center for Language and Culture's Arabic Language Institute. Their time in the Bled with Dar Si Hmad is introducing them to a very different side to Morocco than they have seen thus far in Marrakesh. It is these kinds of nuanced experiences that the Ethnographic Field School seeks to create. Past programs have included activities and discussions on Berber history and literature, argan production and the impact of female-owned cooperatives in southwest Morocco, colonialism, trade routes and transaction practices, rural livelihoods, gender, religion, perceptions of healing and water, and portraits of a culture including cuisine, expressions, and rituals. These issues are tackled by students in partnership with local voices. Moroccan university students, professionals from Agadir, and women from the Bled (countryside) join Ethnographic Field School participants in seminars. The organization and content of the program is meant to create a meaningful and just platform for cross-cultural exchange and learning. Racism is a form of violence. It justifies and perpetuates global and local inequalities. Dar Si Hmad’s Ethnographic Field School works to combat reductionist stereotypes of Arab and African women, giving young leaders from around a world a more nuanced perspective of gendered power and agency in the region - and helping them critically consider their own societies. This type of awareness is vital in creating a world free from violence against women in all its forms.